The Fast, Easy, Fun Way! 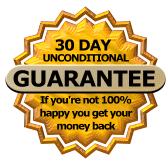 NO RISK – 100% GUARANTEE – MADE in the USA! If you are not happy with this course, get your money back. It’s that simple. Over 100,000 students with rave reviews! 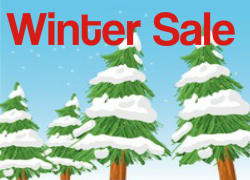 Over 4 hours of video lesson training, practice audio downloads, and bonus lessons. Having these Fundamentals of Singing skills is the missing link to be successful with improving pitch. Do you know a friend who needs PitchPerfector™? Do you want to help your children sing on pitch and avoid embarrassment? Eight years later, here’s a screen shot of the current version 4.0. You may not solve all of singing pitch problems in 10 minutes. 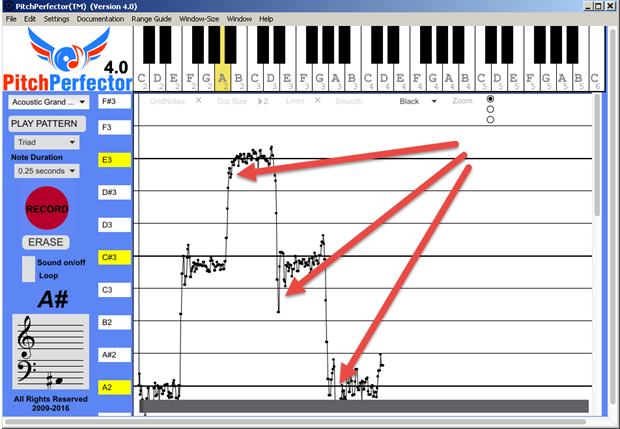 EVEN IF YOU HAVE A TEACHER who is good at helping students improve voice pitch, you will want PitchPerfector™ to measure your success objectively (odds are when your teacher sees this program, she/he will start using it during your vocal lessons). PitchPerfector™ System is right for you? With twenty years experience as a software engineer, a degree in vocal studies, and in a graduate degree program for music technology, you can imagine that I have access to pretty much any voice software around for analyzing vocal sound. In my private studio, I instruct and record vocalists using the same the tools used in top recording studios around the world. Find out how serious your voice pitch problems are immediately. Causal singers will gain the biggest benefit of all. 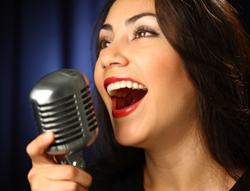 Here’s why – you see, casual singers usually sit in the background, sing softly and try to avoid being noticed. It probably started when you were young and someone said you could not sing and it “stuck.” Later in life you may have tried to sing, but hit a bad note and all eyes turned on you – again reinforcing the myth that you could not sing. UsingPitchPerfector™, in a short time, you may gain confidence to sing in casual settings, and gain that level of joy without caring about singing in formal venues. The sooner you get your copy of On Pitch Singing, PitchPerfector™, the sooner you can make it happen. You are great for customer service, you know? I freaked out for a little bit after I couldn’t download it. Now that I have access I have found more than what I expected. I look forward to watching more videos in the following weeks. Hello Sir, thank you for your generosity… You really help me improve my singing voice. I just want you to know sir that these singing lessons are one of my answered prayers on 2015. Hope I can learn more from you. Thank You very much sir! I pray you blessings and good health! God Bless! Which PitchPerfector is Best for YOU? 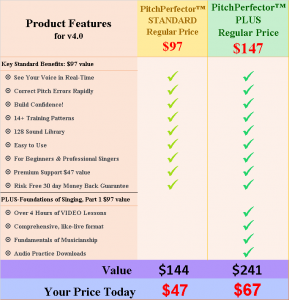 Compare: PitchPerfector™ & PitchPerfector™ Plus! PitchPerfector v4.0 today! Plus future updates in the 4.x series as they become available. 30 DAY NO RISK GUARANTEE: If you don’t likePitchPerfector™ for any reason, just remove it from your computer, and send me a message within 30 days of your order for a full refund.